Three years ago, before I took the Tree Stewards class, I had no idea why anyone would want to learn about pruning trees. The class was an eye opener! First thing to know is that pruning a tree damages the tree. Sometimes the harm is overshadowed by the benefits, other times it’s best to just leave the tree alone. Taking the time to do your research and maybe even consult a professional could save your tree from unwarranted harm. Most people are familiar with aesthetic pruning, such as topiaries, or pruning to reduce risk of to property. 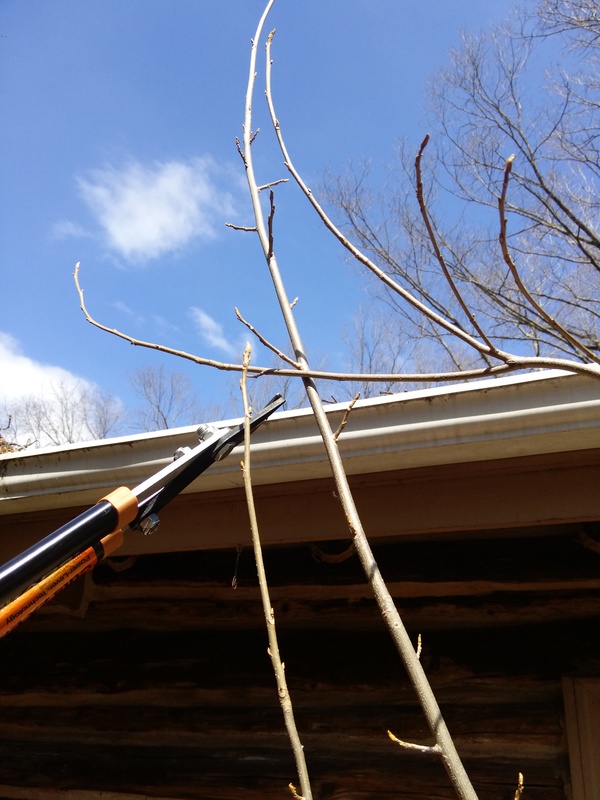 The most drastic and least helpful forms of pruning to reduce risk of fallen limbs is tree topping. Beware of the tree ‘expert’ that suggests this method to you. Topped trees are seriously weakened by the loss of most of the leaf-bearing crown. The loss of the leaves, the energy producing part of the tree, deprives the tree of energy. A tree’s survival mechanism shifts the stored energy to producing more leaves as soon as possible. Less energy is used to protect the tree and therefore it becomes primed for pest infestations. Click here to learn more about tree topping. So is there ever a good time to prune a tree? The answer is yes! One of the most common reasons is that a tree branch may be damaged or broken. 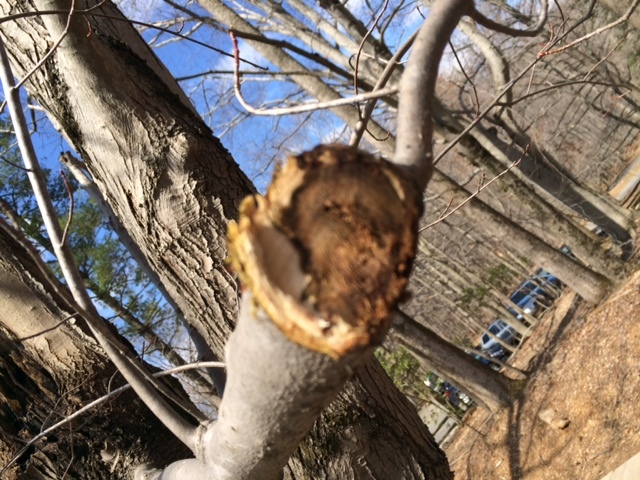 This branch should be pruned in order to facilitate the tree’s ability to seal the wound and protect the rest of the body. When pruning is done properly, it can lead to improved tree health down the line. 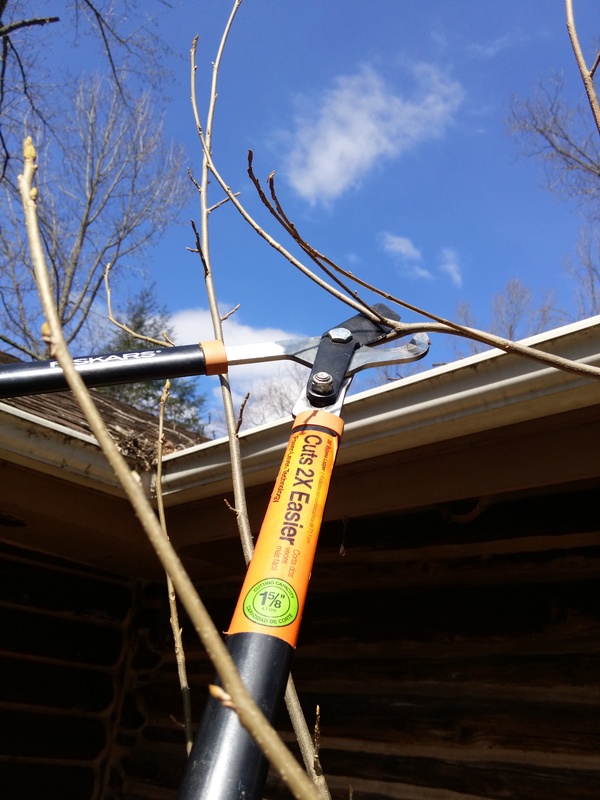 Most important to remember is that you must plan ahead in order to limit the damage inflicted by pruning. Here is a link to a quick guide. Don’t hesitate to consult a certified arborist.